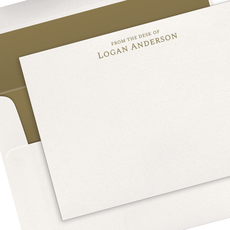 Sample shown on Ivory stock with Black ink and Onyx envelope lining. Sample shown on White stock with Pacific Blue ink and Ocean envelope lining. $72.00 $80.00 As Low As $0.83 ea.